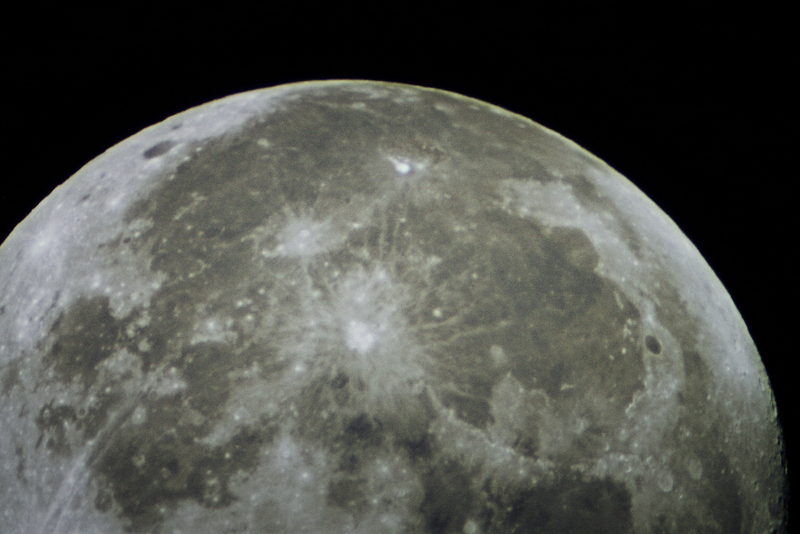 An evening late for the super moon (being a mother does not pause for a super moon), I wrestled the telescope out under a clear Spring night sky and managed a few shots and some video with my DSLR mounted to the telescope. I am too aware that I could muck about with stacking to improve these, and I did start, but then reality of having finite time and requiring actual sleep before a day at work (she notes, meanwhile typing a blog post after midnight) took hold, so my RAW images were processed on wait for it….my little dinky chromebook. I do really favour staying low tech with astronomy though. My favourite image of saturns rings were taken on my iphone held up the telescope eye piece many many years ago. I have a 10 year old 90mm refractor telescope, on an equitorial mount with no fancy goto or tracking. The thumb screw is missing from my eye piece because I dropped in in the dark. I am always tripping over the tripod legs in the dark. I have light pollution in my yard from neighbouring houses and street lights. 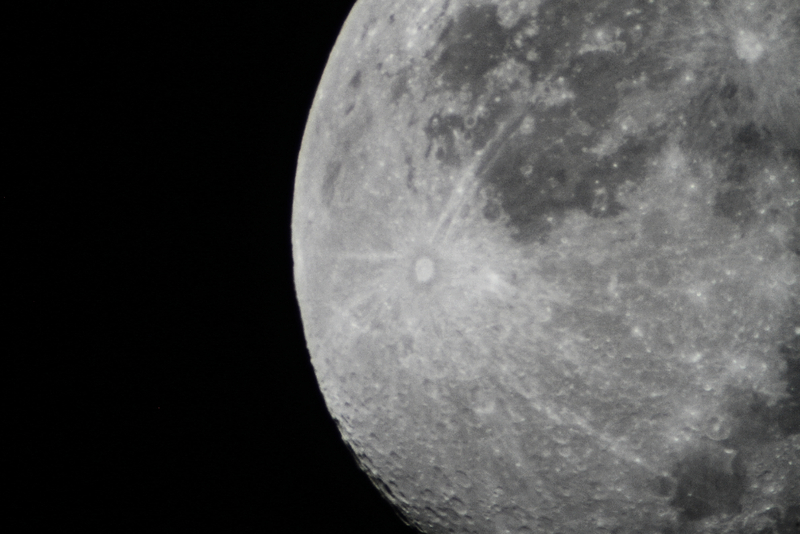 Astronomy and astrophotography doesn’t always need to be a perfect science. It’s about connecting with that vast beautiful amazing expanse of worlds up there. We generally, I think, take it for granted. When people talk about mindfullness and mental health, being centred or connected, there is rarely mention about getting outside for a look at the night sky and getting to know it. It’s a humbling and profound place though, looking up in the dark. I also want to mention quickly, about the incredible learning adventures I am having by reading Aboriginal Astronomy by Dr Ragbir Bhathal (2010) which I borrowed through my local library. I found it via a subject search for aboriginal astronomy as although I had found a fantastic list of further reading here on an Aboriginal Astronomy website, many of these weren’t a bit tricky to find easily in my speedy searches. It’s a simply bound document publication, which belies the astounding reading inside. A mind-opening insight into sociocultural/ethnoastronomy and it’s not often you gain a whole new world of insight in just the first few pages of something. I’m in awe of the deep connection of the cosmos expressed in examples of indigenous scientific understanding of the night sky and the expression of this understanding through stories, songs and art. When I look at aboriginal art I’ve had for years right next to my desk, I really thought I appreciated their complexity. But, I now see something even more, and much different, something else, after only a few pages reading this book. Not only is this shift in understanding, something I can see in indigenous artwork, but when I look up into that great canvas of the night sky – my imagination is unlocked somehow. It’s a small insight into how to to try to unsee the known and familiar patterns, and to instead, see the sky through wizened ancient eyes. It’s galaxies of art, science, and history colliding with energy. We can never truly see the full story though, which is sacred and rightfully respected and shared in a way that deep and cultural learning should be. 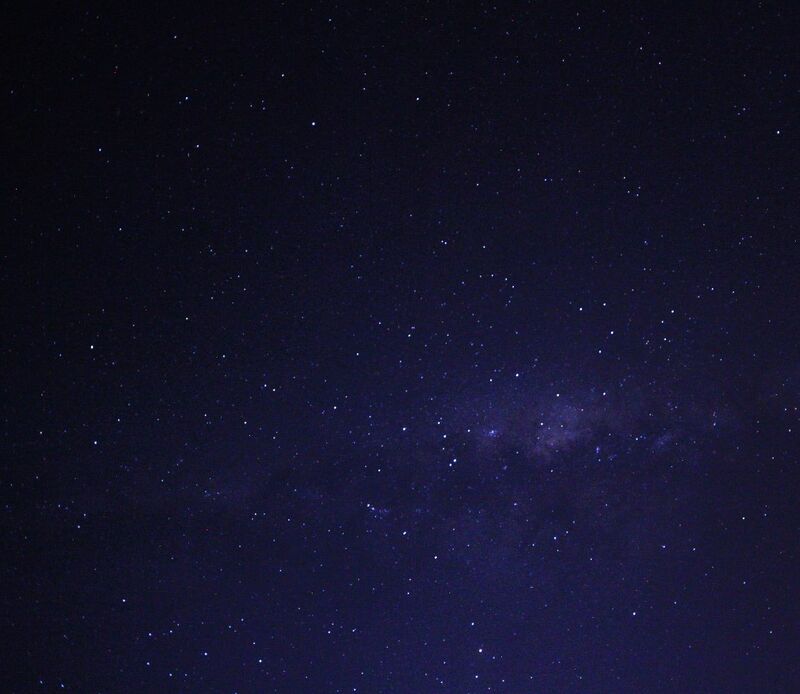 Just a glimpse though, is enough to give you a sense of how unique and special indigenous australian relationship was with the night sky. You can get a taste of the publication, in this shorter document available online Astronomy of the First People of Australia by Ragbir Bhathal, but I encourage you to seek this out. For now, I will just continue to wonder and dwell on the realisation that it really is all about the spaces in between.